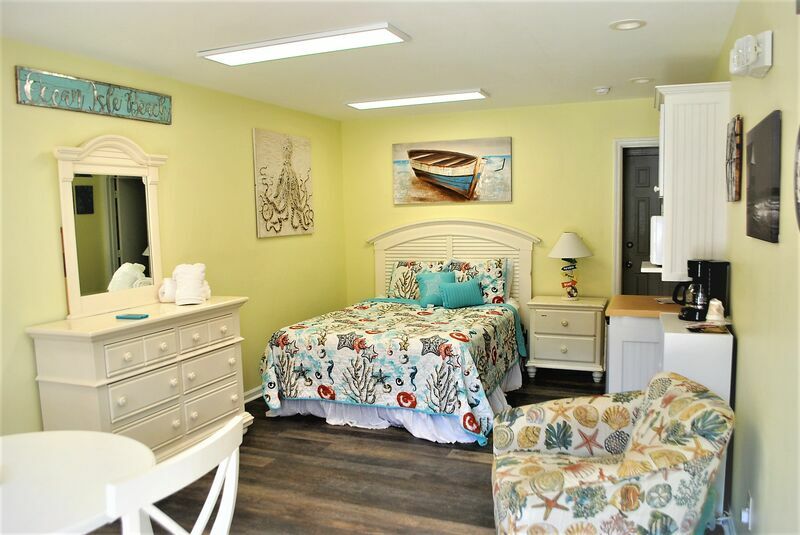 One bedroom, ground level condotel centrally located on beautiful Ocean Isle Beach, one block from ocean and walking distance to local restaurants and activities. First floor suite with one queen bed. Sleeps 2. Condo has in-room microwave, small refrigerator, iron and TV. On site outdoor smming pool for your enjoyment! NONSMOKING. All condos may be rented on a nightly basis. Free Wireless Internet!